The Power Series Transfer Switch line features 3 different platforms with multiple different technologies offering a flexible solution up to 5,000 AMPs to meet your application needs. All platforms are 3 cycle rated with some technologies featuring short time ratings to aid in breaker selection and selective coordination, which is essential in mission critical applications. 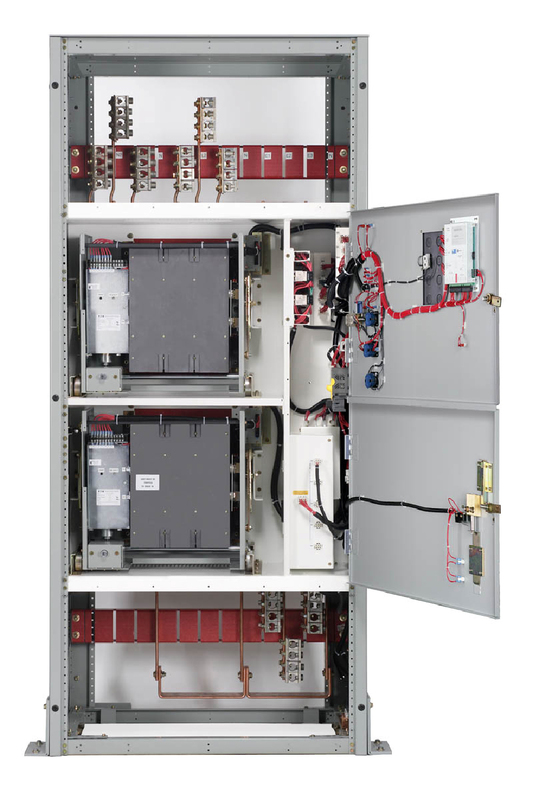 The contactor based technology includes a double-throw interlock transfer mechanism for higher reliability and safety from unintentionally paralleling two sources of power. All service entrance switches are 100 percent rated, and the top, bottom, and side cable entry eases installation. Both controllers are microprocessor based with Modbus RTU and pretransfer contacts as standard with a digital programmable exerciser. A touch screen Remote Annunciator with single switch or multiswitch password protection for control functions can be integrated with either the ATC-900 or ATC-300+ controller.